Are you a young professional who believes in the importance of supporting your community? The GenNext movement is a unique opportunity for the next generation of leaders to bring about change right here in Guelph. 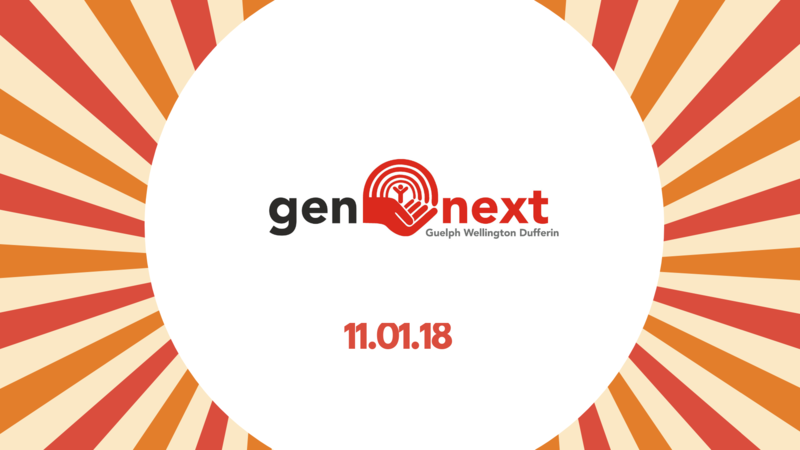 GenNext offers a new and exciting way for young professionals ages 20 to 40 to get involved and bring meaningful change to our community through involvement with United Way Guelph Wellington Dufferin. If this sounds like you, we encourage you to join us on Thursday November 1st, 2017 from 9 a.m. – 12:00 p.m., for our annual GenNext event – an interactive networking experience at Eagle’s Flight in Guelph. This event will not only be an interactive learning experience into the world of those living in poverty, but facilitate an introduction and exchange between current community leaders and those who will lead change within our community in the future.